are Industry-Approved and internationally recognized! 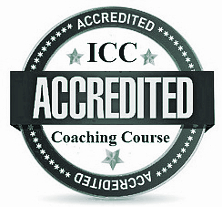 The International Coaching Council (ICC -established in 1998) is uniquely both an internationally recognized coach training accreditation body and a global coaching industry group. Neurocoaching is a fusion of cognitive neuroscience, neuropsychology, cognitive neuroplasticity and cognitive behavioral therapy techniques (CBT -evidence-based psychological treatment). Perceptual meta-self-awareness exercises are used to stimulate neural re-growth that generates change in the brain-mind-body continuum. The emphasis is on the brain-mind-body union generating measurable and sustainable mental, physiological and even spiritual enhancement with bottom line increases in performance, well-being, health and happiness. A revolutionary scientific observation is we are not necessarily “stuck” with the brain we have. “Rewiring” neural networks and enhancing neuroplasticity in normal brains is possible. Neurocoaching focuses on: 1) accessing the subconscious mind and, 2) the limbic section of the brain that provides the critical link to the brain-mind-body union and how we can affect neural and physiological changes. Neurocoaching interventions are designed to open “windows of plasticity” and target specific domains of the brain’s structure and reset them to form greater connectivity and oversight. The objective of the targeted interventions is to have the participant achieve perceptual self-awareness and learn powerful, self-empowering, brain-mind-body change techniques for self-change. Clients are taught easy-to-use, practical, self-empowering neuropsychological techniques (to practice once a day for 15 mins) that change and redirect associated neural patterns to activate targeted innate brain-mind-body mechanisms. The emergence of brain science and brain-based learning is generating a new breed of coaches—the neuro coaches. Neuro coaches can help all persons (no matter their age). Coaching is about change. Neurocoaching differs from other modalities by the central importance of using the brain-mind-body continuum in how we coach. Neurocoaching falls under the umbrellas of natural health (including physical health – as our physiology can be re shaped by our thoughts) and mental health (including emotional fitness). Cutting edge, proven neuro coaching techniques, tools and neuro-behavioral change models of change are all evidence-based and can generate positive, lasting results that can be measured. A typical problem with traditional coaching is when the unconscious self and emotions block or inhibit a positive outcome. The traditional cognitive approach is based on logic and deliberative thinking and avoids emotions and feelings. Yet, our construction of a sense of self, the world, and self-in-relationship to the world, is a complex web of memory, embedded with EMOTION and sense impressions. Neuroscience has now proven that making an emotional connection is the key enabler in the process of changing behavior. Our mind is forced mindlessly to follow a set track engraved by the brain's emotional response center that overrides all other systems. When a coach tries to get their client to override their brain's systems of rote response, we cause them to suffer emotional distress. Even when we try to change a routine behavior our brain sends out strong messages that something is wrong, and the capacity for higher thought is decreased. These messages typically overpower rational thought. Change efforts subsequently result in discomfort and stress. Neurocoahing Interventions are designed not only to shape and build new neural pathways, but also change the areas of our brain associated with emotions and memories such as the pre-frontal cortex, the amygdala, and the hippocampus which like our brains are not hard-wired (they are ‘plastic’). Powerful visualisation techniques (mental imagery) are used to activate brain regions to affect desired behavior changes and/or learning of a new skill. Neurocoaching is today’s cutting-edge, fast-tracked change agent to achieve goals. The human brain is a work-in-progress. We now know that brains can be significantly restructured under the right learning conditions. Building strong neural pathways is the key to true personal and professional power! People change only if they fully experience the events or perceptions that words can only point to. Today's coaching practitioner needs to teach their clients how to observe their thoughts without necessarily believing their story. Unconscious processes exert great influence on our thoughts, feelings, and actions. Emotions drive behavior and can help or hinder us. Envisioning a different life can invoke change. The brain can process nonverbal and unconscious information without consciously understanding the reaction. Meditate and Manifest. Mindfulness and Meditation assists with processing unconscious brain data and prepares the brain for change. This is about exercising your ‘muscle’ of focus and attention. The need to explore the impact of energy on motivation and willpower. Inefficient thinking helps cause stress and lowers energy levels. Our brain uses about 20% of the body’s energy. With neurocoaching you’re working with metacognition (‘knowing about knowing’). Time and attention is important. Neurocoaching is an accelerated method of change compared to traditional coaching efforts. Today, people want shorter, more powerful interventions including via user-friendly delivery methods such as video-calling. Neurocoaching’s science-backed, proven tools power boosts self-efficacy -the measure of belief in your ability to execute tasks and reach goals. Neurocoaching creates a coach-coachee relationship of ongoing learning, growth and development. Working in this scientific model, coaches become highly effective partners in the transformational process. In fact, the coach’s own brain is learning, expanding and developing itself through the use of neurocoaching processes and tools. Neurocoaching is ideal for professional change agents who want to gain unique insights into brain plasticity, emotion, attention, habits, intuition, resilience, and self-belief. Neurocoaching is suited for professionals who want to use evidence-based strategies to help others flourish and reach their goals. Applying neuroscience, neuropsychology and working with the brain-mind-body continuum legitimizes the work of a coach, therapist or health practitioner. The Behavioral Coaching Institute's (established 1994) internationally recognized, Master Coach and Diploma in Executive Coaching teaches the latest, breakthrough neurocoaching technology, proprietary tools and techniques that incorporate the above page missing pieces of the coaching puzzle with an evidenced-based scientific approach. The Anti-Aging International Academies renowned Anti-Aging Therapist Diploma Course teaches students how to use the neurocoaching model of change to generate physiological change eg; empowering people to move to a desired state of youthfulness and health. Both these excellent programs (via Self-Study / Distance Learning or Campus Program Formats) have been designed by world experts in their field and are continually updated with the latest science. © Copyright 1998-2019.International Coaching Council™.